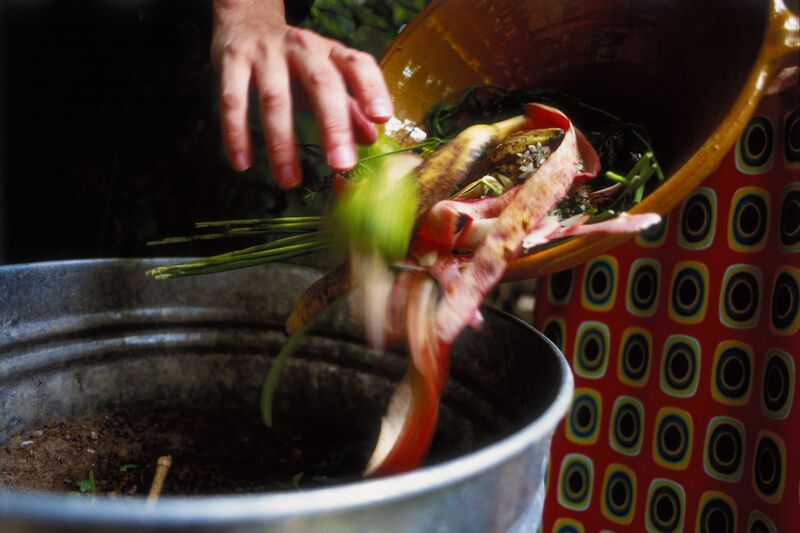 Maybe you've been thinking about composting but aren't sure how to start. Perhaps you heard compost piles are smelly or attract bugs and mice. Despite what you may have been told, here are eight good reasons why compost is a great idea. How much time and effort do you spend putting things in the garbage can? A few seconds each week. As long as you understand what should and should not be composted, you'll do just fine. It costs next to nothing to start composting, aside from a tiny initial investment in a compost pail or bin. If you're a gardener or have any landscaping at all, your compost pile can save you money by reducing what you spend on fertilizer or yard waste removal. It will also greatly reduce what you throw in the garbage each week, so you might be able to save on municipal trash removal costs. Even if you're not big on buying new kitchen accessories—or buying anything, for that matter—you might like the fashionable looks of the new, designer-styled composting pails that are on the market. Most have charcoal filters built right in, so no onion or garlic smells can leak out. Available in Hot-Rod Red, Space-Age Steel or Winter White, they'll dress up any hum-drum kitchen decor. You can't find a better soil amendment than compost. It loosens clay soils and helps sandy soils retain water. Not only does compost contain no petroleum-based compounds, like most commercial fertilizers do, but it can also suppress plant diseases and pests. Gardens that are composted produce higher yields of healthier fruits, yields of healthier fruits, vegetables, and flowers. Landfills everywhere are running out of room, and the EPA estimates that roughly 25% of the garbage in the U.S. is made up of yard trimmings and food scraps. That's over 60 million tons each year! Instead of watching your local landfill get bigger and more expensive to maintain each month, try composting. No yard? No worries. You can use compost even in a window planter box. Many cities have compost programs which will haul away your composted organic material for free. Not sure how to find one? Consult the fine folks at Earth911.com or the EPA for local resources in your area. Gone are the days when a compost bin was a big, unsightly mess that made the neighbors complain. From space-age Darth Vader bins to chic, modernist styles to wood-frame compost bins made by do-it-yourselfers, the compost bin has evolved into an attractive amenity for every yard. The rumor that compost attracts bugs, mice or other pests is a dirty, stinking lie. Only compost done wrong smells or attracts vermin. To do it right, keep dairy products and meats out of your compost pile. Simple.